Even in failure, studies can be informative. Fingolimod, a disease-modifying treatment for relapsing-remitting multiple sclerosis (RRMS), is ineffective for primary progressive MS (PPMS), according to the results of a large phase 3 clinical trial published online January 27 in The Lancet (Lublin et al., 2016). The paradoxical idea that unsuccessful results can indicate a good study tells a lot about the state of progressive MS research. About 10 to 15 percent of multiple sclerosis cases are the primary-progressive type (PPMS). RRMS may not have a cure, but there are a dozen approved disease-modifying therapies that mostly target immune activity outside of the brain and spinal cord. More than half of people with RRMS will gradually worsen to secondary progressive MS (SPMS). PPMS is defined by the same gradual worsening without an initial relapsing stage (Lublin et al., 2014). No effective treatments yet exist for either type of progressive MS.
Part of the reason for the therapeutic black hole in progressive MS may be that no one really understands the biology of progressive disease. The other part may be study designs that fail to capture potentially beneficial agents. The first positive findings ever in a big study for PPMS came last October with preliminary results from the ORATORIO trial of the investigational drug ocrelizumab, a B cell-depleting anti-CD20 monoclonal antibody. Last week, drugmakers Genentech and Roche announced that the U.S. Food and Drug Administration (FDA) has granted “breakthrough therapy designation” for ocrelizumab for PPMS. The fast-track status does not guarantee approval. The newly published study of fingolimod in PPMS, known as the INFORMS study, follows other past negative studies, but the more recent modest success of ocrelizumab opens a door on therapeutic approaches to progressive MS, Lublin said at ACTRIMS. Lessons can be learned from INFORMS and other negative studies about how to approach clinical trials for progressive MS. The randomized, double-blind, placebo-controlled INFORMS study included a total of 970 patients enrolled at 148 centers in 18 countries across North America, Europe, and Australia. “It was a very well designed study. It had the ability to answer the question it set out to answer. The outcome measure was novel,” Lublin said, referring to the study’s primary endpoint based on the traditional Expanded Disability Status Scale (EDSS) combined with the Timed 25-Foot Walk Test and the Nine-Hole Peg Test. EDSS scores alone were not significant, but “the composite performed very well. It’s just that clearly the drug wasn’t working,” said Lublin, director of a multiple sclerosis research center at the Icahn School of Medicine at Mount Sinai Medical Center in New York. The drug also failed to improve secondary endpoints, including disability progression based on EDSS score and brain-volume loss. The trial was conducted by Novartis Pharmaceuticals, the Basel, Switzerland-based company that produces fingolimod, also known by the brand name Gilenya. One of the big questions in trials of progressive MS is what to measure to assess disease activity and therapeutic response. Further analysis of INFORMS data shows that brain-volume changes tracked with the severity of disease, as measured by worsening disability sustained for 3 months, according to a poster presented at ACTRIMS last week by Jerry Wolinsky, MD, of the University of Texas Health Science Center at Houston. Wolinsky is a co-author on the INFORMS study. Extreme progressors also had more new or inflammatory brain lesions over 3 years, although there were few new lesions in all groups tested. People with PPMS in INFORMS received either fingolimod or placebo for at least 36 months and up to 5 years. Initially, subjects in the fingolimod arm received a dose of 1.25 mg once per day, but partway through the trial in 2009, the dose was altered to 0.5 mg per day. “The dose was changed because data from RRMS patients suggested that 0.5 mg was just as effective but had fewer safety issues,” Lublin told MSDF. Keeping the higher dosage “probably would not have affected the outcome, but we don’t know yet—we have to look at the subtype analysis,” he added. Safety issues were minor, as expected from other trials of fingolimod with RRMS. Fingolimod binds to and modulates the G-protein-coupled sphingosine 1-phosphate (S1P) receptor. Sphingosine 1-phosphate belongs to an enigmatic group of signaling molecules called sphingolipids that play a role in a wide range of cellular processes. In RRMS, fingolimod works primarily by preventing lymphocytes from exiting the lymph tissues, thereby reducing inflammation in the brain. However, because the drug can cross the blood-brain barrier, it is also thought to work directly within the brain to reduce neurodegeneration (see related MSDF news), which is thought to underlie the drug’s ability to prevent brain-volume loss in RRMS. The negative trial results support the idea that PPMS may involve entirely distinct pathologic processes from those seen in RRMS. “This study suggests that people with the purely progressive form of MS may need treatment strategies beyond anti-inflammatory strategies,” Lublin said. In their comment, Segal and Stüve said that lessons might be learned from another trial in PPMS patients called OLYMPUS, of rituximab, a B-cell-depleting anti-CD20 antibody. Although that trial also failed to show therapeutic effectiveness, subgroup analysis revealed that patients were more likely to respond to the drug if they were under age 52 or if they had gadolinium-enhancing—or active—lesions on magnetic resonance imaging (MRI) measures when the study began. “We’re going to look at all of that,” Lublin told MSDF, although “as opposed to OLYMPUS, we had fewer patients with that profile.” About 40 percent of INFORMS patients were over age 50, and 85 percent had no gadolinium-enhancing lesions at baseline. Carol Cruzan Morton provided additional reporting from the ACTRIMS 2016 meeting in New Orleans, LA, USA. Is PPMS fundamentally different from RRMS, and should future strategies move away from lowering neuroinflammation? What other potential molecular targets might halt PPMS? What other differences in INFORMS and other major PPMS trials account for their success or failure? Novartis Pharma AG (Basel, Switzerland) supported this study. FL reports personal fees from Bayer Healthcare, Actelion, Acorda, Questcor/Malinckrodt, Roche/Genentech, MedImmune, Osmotica, Xenoport, Receptos, Forward Pharma, BBB Technologies, Akros, TG Therapeutics, AbbVie, and EMD Serono, grants and personal fees from Novartis, Biogen, Teva Neuroscience, Sanofi Genzyme, and Celgene, and grants from Transparency Life Sciences. DHM reports grants and personal fees from Novartis and Biogen, personal fees from Mitsubishi Pharma Europe, BayerSchering, and Chugai, and grants from Apitope. MSF reports personal fees from Genzyme, Merck Serono, Bayer, Biogen, Teva, Canada Innovation, Opexa, Novartis, and Chugai. BACC reports personal fees from Biogen, EMD Serono, MedImmune, Novartis, Teva Neurosciences, Genzyme/Sanofi-Aventis, and AbbVie, and grants from Hoffmann-La Roche. JSW reports personal fees from Novartis Pharmaceuticals, Sanofi-Aventis, Teva Pharmaceuticals, Genzyme, Eli Lilly, Actelion, Hoffmann-LaRoche, AbbVie, Athersys, Xenoport, EMD Serono, Alkermes, Forward Pharma A/S, Consortium MS Centers, University of Kansas, Wayne State University, and ACTRIMS, grants from U.S. National Institutes of Health, Sanofi-Aventis, and U.S. National Institutes of Health/NINDS, Genzyme, and royalties for our licensed monoclonal antibodies through University of Texas Health Science Center at Houston from Millipore (Chemicon Intl) Corp. CL reports personal fees from Biogen, Roche, Novartis, and Genzyme, and personal fees for scientific collaboration from Vertex. H-PH reports personal fees from Biogen, Genzyme, Teva, Roche, Novartis, and MedImmune. XM reports personal fees from Actelion, Almirall, Bayer, Biogen, Genzyme, Merck, Novartis, Octapharma, Receptos, Roche, Sanofi, Teva, and Trophos. BMJU reports personal fees from Biogen, Genzyme, Merck Serono, Novartis, Roche, and Teva. MM, BL, NP, FCL, and DAH are employees of Novartis. LK’s institution (University Hospital Basel) received in the past 3 years and used exclusively for research support: steering committee, advisory board, and consultancy fees (Actelion, Addex, Bayer Health Care, Biogen, Biotica, Genzyme, Lilly, Merck, Mitsubishi, Novartis, Ono Pharma, Pfizer, Receptos, Sanofi-Aventis, Santhera, Siemens, Teva, UCB, Xenoport); speaker fees (Bayer Health Care, Biogen, Merck, Novartis, Sanofi-Aventis, Teva); support of educational activities (Bayer Health Care, Biogen, CSL Behring, Genzyme, Merck, Novartis, Sanofi, Teva); royalties (Neurostatus Systems GmbH); and grants (Bayer Health Care, Biogen, Merck, Novartis, Roche, Swiss MS Society, the Swiss National Research Foundation, the European Union, Roche Research Foundations). HW declares no competing interests. BMS reports personal fees from Vitae Pharmaceuticals, Novartis, Best Doctors, Bristol-Myers Squibb, and grants from Biogen. OS reports grants from Teva Pharmaceutical Industries, Opexa Therapeutics, and Medscape, personal fees from Genentech, Sanofi-Aventis, Huron Life Sciences, Navigant Consulting, and travel expenses from Pfizer, Sanofi-Aventis, JAMA Neurology, Multiple Sclerosis Journal, Therapeutic Advances in Neurological Disorders, Pfizer, and Novartis. 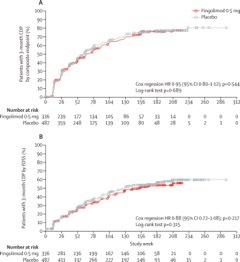 Oral fingolimod in primary progressive multiple sclerosis (INFORMS): a phase 3, randomised, double-blind, placebo-controlled trial. Lublin F, Miller DH, Freedman MS, Cree BAC, Wolinsky JS, Weiner H, Lubetzki C, Hartung H-P, Montalban X, Uitdehaag B M, et al. Primary progressive multiple sclerosis-why we are failing. Defining the clinical course of multiple sclerosis: The 2013 revisions. Lublin FD, Reingold SC, Cohen JA, Cutter GR, Sørensen P S, Thompson AJ, Wolinsky JS, Balcer LJ, Banwell B, Barkhof F, et al.